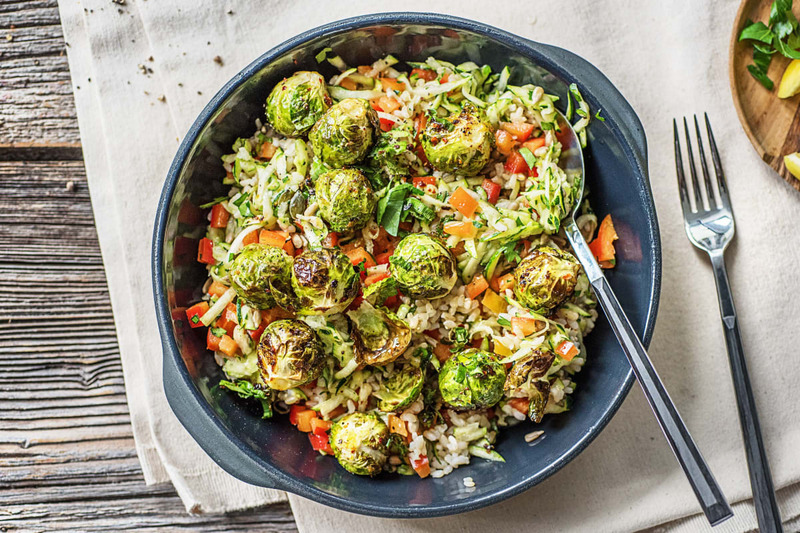 Who said that brussel sprouts were boring?! We don't think so! 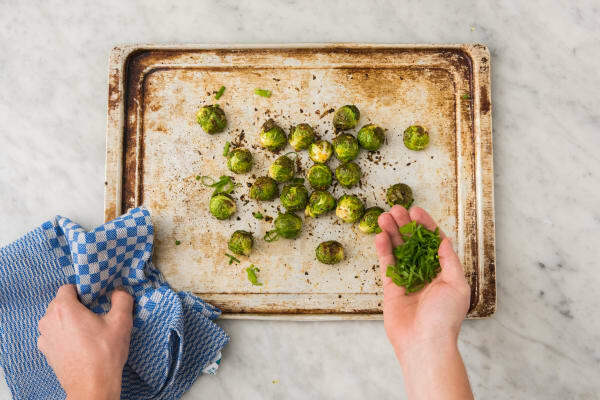 Roasting this winter green with a pinch of salt and chili flakes turns this sometimes maligned veg into the hero of the dish! 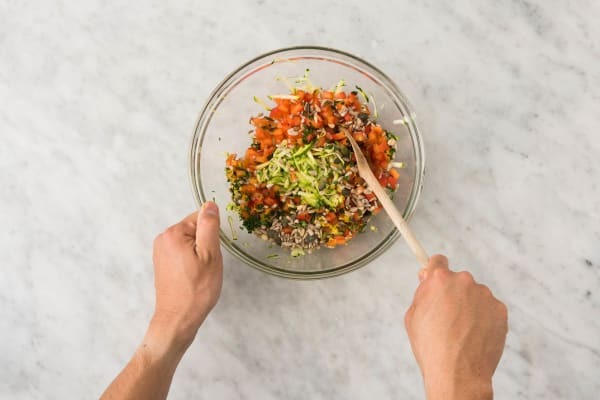 Coupled with the goodness of a sprouted brown rice in a herb vinaigrette, you will literally have a thought-changing experience! Preheat the oven to 425°F (to roast the Brussels sprouts). 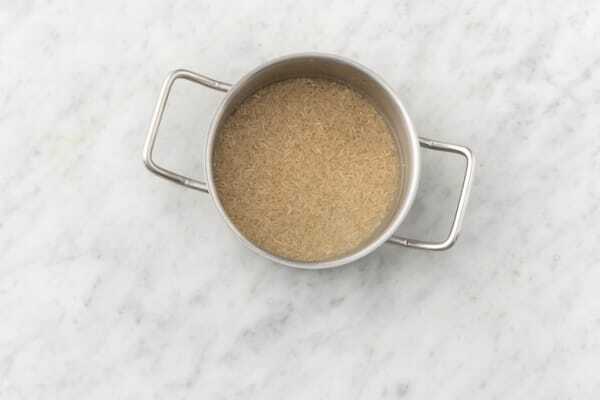 Start prepping when the oven comes up to temperature! Wash and dry all produce. 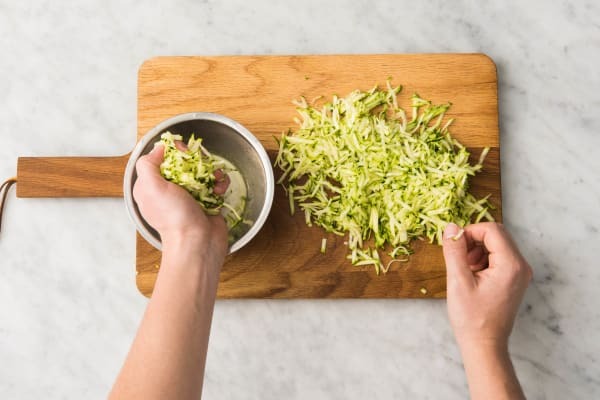 * Coarsely grate the zucchini, then squeeze the excess liquid, by hand, into a small bowl and discard. Core, then cut the bell pepper(s) into 1/4-inch pieces. Cut the Brussels sprouts in half. Thinly slice the green onions. Finely chop the parsley. Zest the lemon, then cut into wedges. 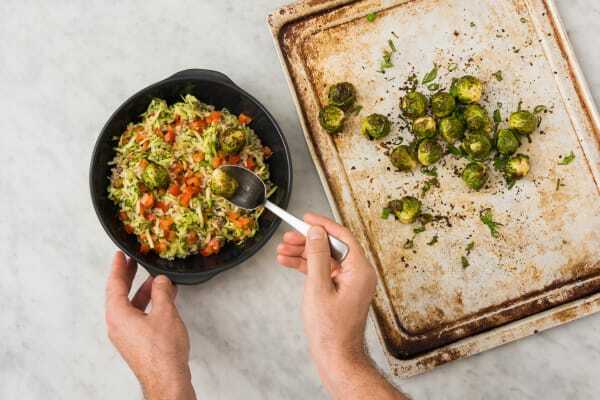 On a baking sheet, toss the sprouts with half the lemon zest, a drizzle of oil, and as much chili flakes as you like. Season with salt and pepper. Roast in the oven until the sprouts start to soften, 10 min. Sprinkle the green onions over the sprouts and return to the oven. Roast until the sprouts are golden-brown and tender, 8-10 min. 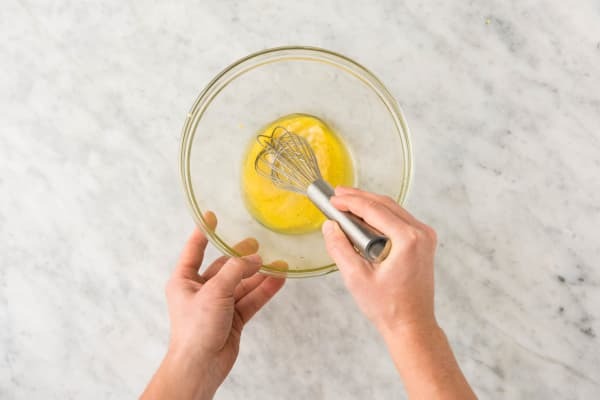 Meanwhile, in a medium bowl, whisk together the mustard, 1/2 bottle vinegar (1 bottle for 4 ppl), 1/4 tsp sugar (double for 4 ppl) with a drizzle of oil. Season with salt and pepper. Add the zucchini, bell peppers, seed blend, half the parsley and remaining lemon zest to the vinaigrette. Toss to combine. Add the rice to the veggies and stir until combined. Divide between bowls. Top with the roasted brussel sprouts and remaining parsley. Squeeze over a lemon wedge, if desired.